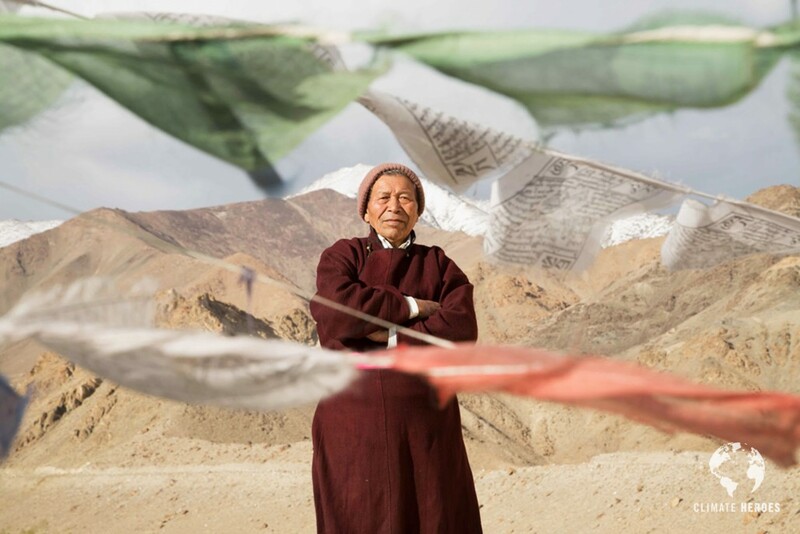 A few months back, we documented the work of Chewang Norphel, our very own Climate Hero from Ladakh, India: Chewang initiated the construction of artifical dams several years back, in order to fight the devastating effects of climage change on the glaciers in his region, and to counter their rapid melting, which made water very scarce for a good part of the year. He is one of the pioneers who looks for solutions to adapt to climate change in those fragile ecosystems. You can watch the interview we made with him here. 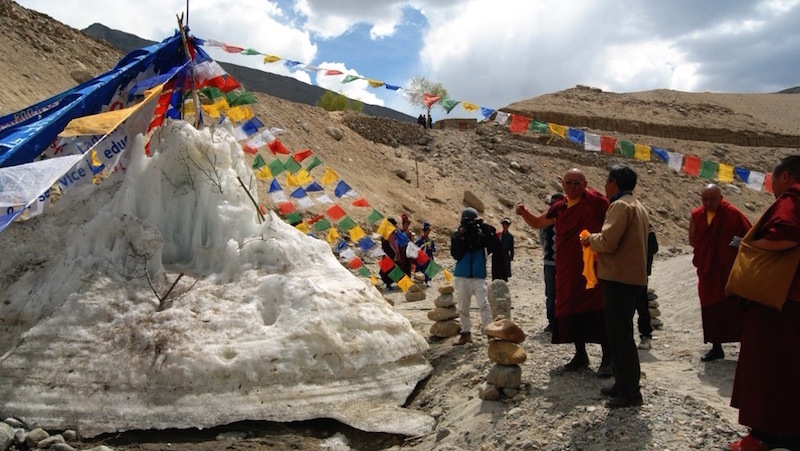 The conventional glaciers would be 2 metres deep and spread over a wide area. 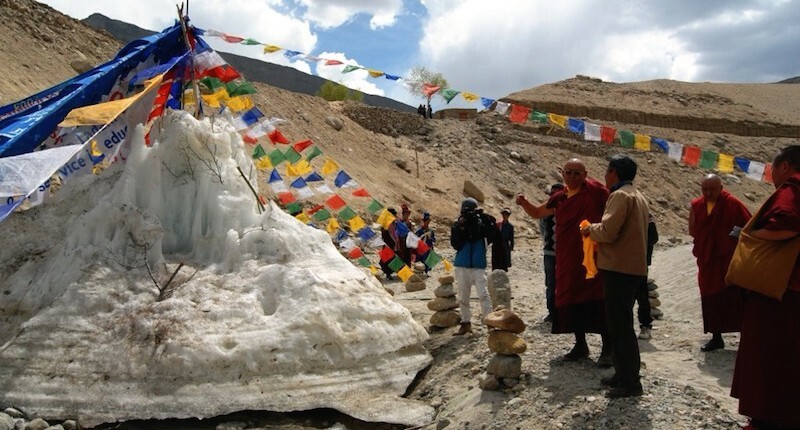 Wangchuk’s brainwave was to make them taller, reducing the surface area for the same volume of ice. For more details about the initiative, see the full article initially published here.